In einem Wagen der Wiener U-Bahn wurden große Mengen von Spielzeugsoldaten verstreut. 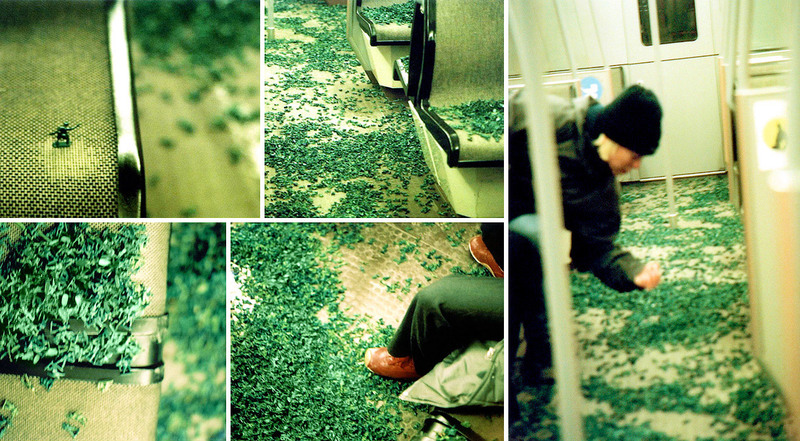 Loads of toy soldiers were poured out in a wagon of the Viennese subway. Die Aktion Epiphany fand am 6.1.2002 in der Wiener U-Bahn statt. The action Epiphany took place on 6.1.2002 in the Viennese subway.